Kitchen CPR - the custom alternative to replacing or painting over your existing cabinets. Custom cabinets and solid wood resurfacing, blending old and new! using SOLID HARDWOOD materials over your existing cabinet boxes, adding new cabinets and blending it all. 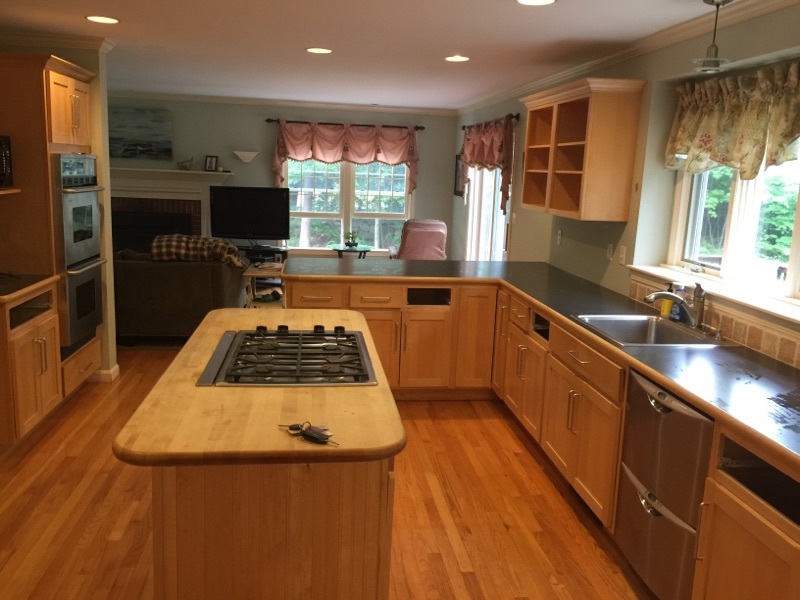 We're a locally-owned kitchen cabinet company in New Hampshire that developed a unique cabinet remodeling system, builds custom cabinets and does cabinet retrofitting and kitchen updating in ways that are different from other cabinet and kitchen refacing companies. We can CHANGE and RETROFIT your existing cabinets! Change doors into drawers, retrofit a cabinet to accommodate a PULLOUT TRASH UNIT or SLIDE OUT SHELVES...and much more! We're able to set you up with a more functional and time-saving kitchen! CLICK HERE to see more.